Have you been thinking about enrolling in a mixology class but always fall so short of attending extended hours for it? Well, here is one good news for you! 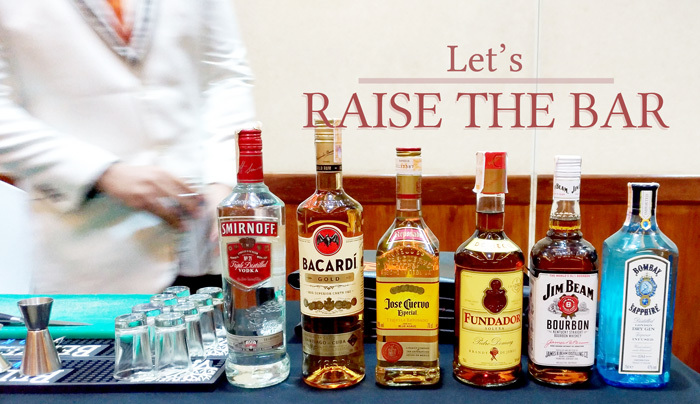 Marco Polo Davao just launched “Raise The Bar”, a fun and intimate hands-on bartending and mixology class which will be held at Eagle’s Bar at the hotel's ground floor. (L) Le Mixology Protege and my pretty classmate, Mommy Van. (R) Marco Polo Davao General Manager, Dottie Wurger-Cronin. “Raise The Bar is another signature experience of Marco Polo Hotels. 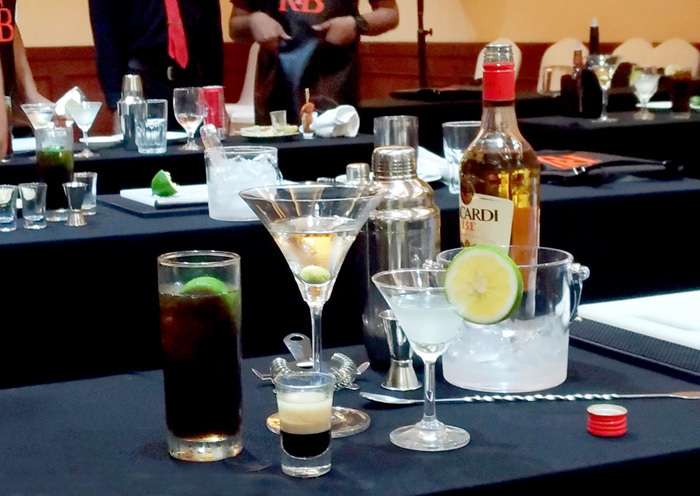 It is indeed a great opportunity for professionals and young professionals that they may able to learn the international standards of bartending and mixology.” Said MPD GM Dottie Wurger-Cronin. And to give you a preview of how the class will go down, bloggers, media friends and several friends from the academe interested in learning how to mix a drink joined the launch class on Oct. 30. 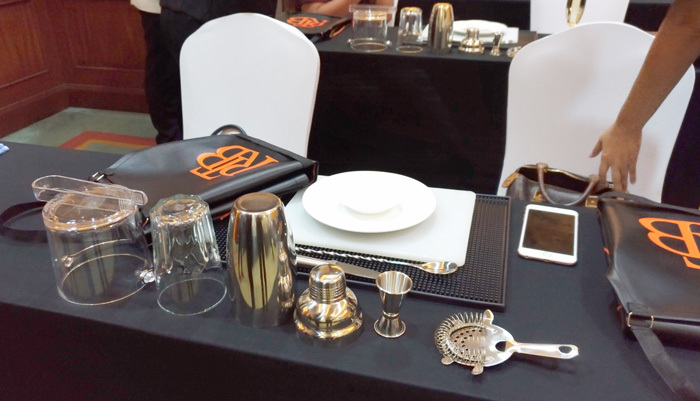 Each enrollee will be provided with his/her own set of bartending tools. So know your weapons to good times, ladies! Just like a typical class, it started with a theory presentation. And then the fun part was the application of the theory. 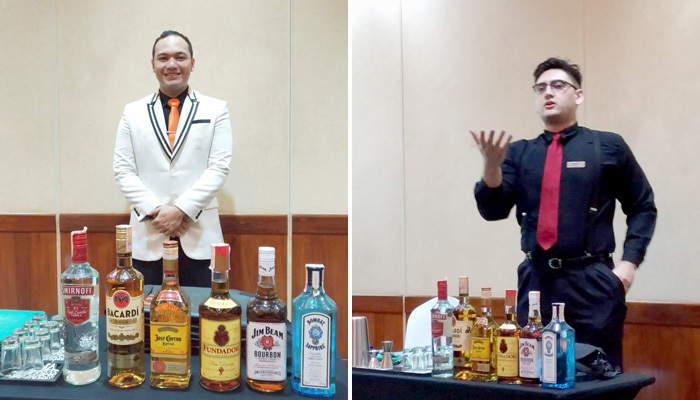 Our teacher, a Mixology master Mr. Laurence Ibarra who won silver medal in Bartending in the recently concluded Kusdelsur, introduced to us the different kicks and colours of the spirits we’re going to use. With him was James Carty, another bartending silver medalist who knew his spirits well, shared to us another brief insight of how mixology works. Amusing how he debunks James Bond to be wrong when he opted for his Martini to be shaken and not stirred. Well, in James' books, Martinis should be served stirred and not shaken. However it’s done, I still get smashed up with just a glass of it. But this is exactly why Raise The Bar is conducted – to learn! Want to know the difference between liquor and liqueur? Well, join the class and learn from the masters. So now unto the fun part of learning! Besides its delightful taste, this is probably one of the easiest shooters to make - now I'm learning! All you need is a shot glass and at least 10 ml of the spirits shown below. And remember, critical to the principle of layering a drink is to know the different densities of various liqueurs - heaviest liquor on the bottom, lightest on the top. In this cocktail, pour at least 10 ml of Kahlua in a shot glass, top it slowly with another 10 ml of Baileys and another 10 ml of Cointreau ... if you opt to have it a little fancy and fiery, top it with at least a teaspoon of Bacardi 151, lit it up and viola! My oh-so-good flaming B-52 shooter is ready! Right, that easy and its so good! 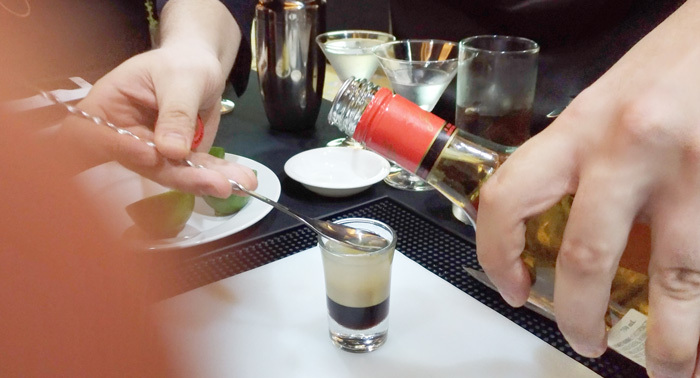 at Raise The Bar class you'll learn how to layer your drink. Our class ended with the following output – The Rum Bumble, a right combo of rum and coke. It was so good I downed all that I made, LOL. Our stirred Martini, Kamikaze and the Flaming B-52 shooter. Shake, mix, socialize and learn are four of RTB’s objectives and judging from experience, it truly lived up to it. 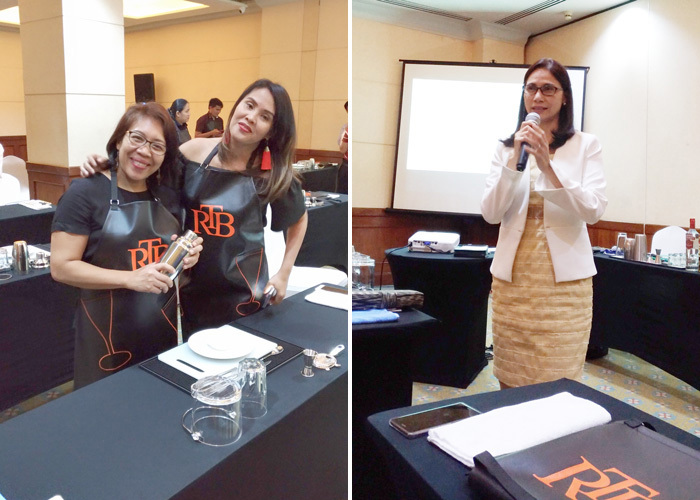 Raise The Bar (RTB) is scheduled every first and third Monday of the month. RTB encourages students, professionals and young professionals and even those who just want to enjoy and learn to sign up for the classes. 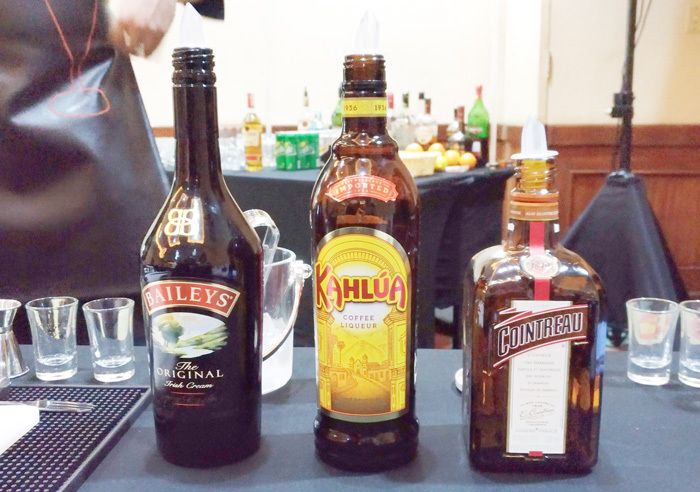 Advance Bartending and Mixology class will also be available for professionals. Interested guests will just have to pay an assessment fee of Php 888.00. This amount will cover snacks, the spirits to use, class manual and certificate. Raise The Bar first class and after session mandatory class picture. For more information, please call Jalyn Malolot at (082) 221-0888 local 7949.